SEATTLE -- Not to be outdone by Krispy Kreme's solar eclipse chocolate donuts, but Denny's is offering all-you-can-eat $4 buttermilk "mooncakes" on August 21. 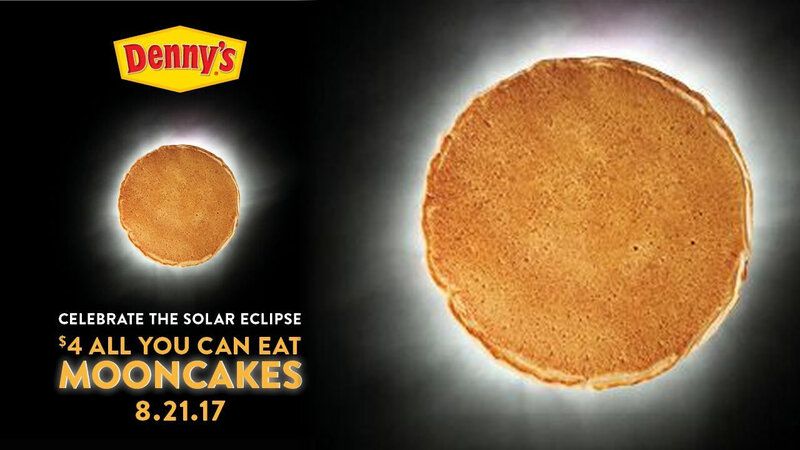 "Like all of America, our team at Denny's is excited about the upcoming solar eclipse and we wanted to have a little fun to mark this historic occasion," said John Dillon, chief marketing officer for Denny's. So, will it be donuts or pancakes? Click here for the latest solar eclipse stories and videos.